Looking for the best car accident lawyer in Philadelphia? Fox Law is a top rated Philadelphia personal injury law firm specializing in car and truck accidents. 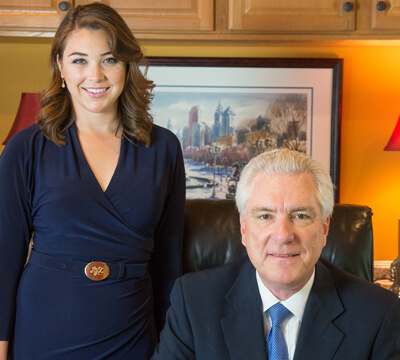 Our experience as trucking defense attorneys, our familiarity with the Philadelphia court system, and the personal attention we offer, sets us apart among the best Philadelphia accident lawyers. If you have been injured in a car or truck accident and looking for the best Philadelphia car accident lawyer to handle your claim, you have come to the right place. All car accident attorneys in Philadelphia are not the same. There are some important things you should know before choosing your car accident attorney. Car accident lawyers vary in skill, experience, and personality. Their results vary, too. Do your homework. Choosing the best car accident lawyer in Philadelphia to handle your claim can make a difference in the outcome of your case. It can make a difference in winning or losing. And it can make a difference in how much you recover. John Fox holds the highest Martindale-Hubbell Peer Review Rating of AV® Preeminent™ (5.0). This is a significant accomplishment – a testament to the fact that a lawyer’s peers rank him/her at the highest level of professional excellence among trial lawyers. In his client testimonial, Jake explains how Fox Law made a difference in his case. How Fox Law made a difference. Jake's Story. Jake was involved in a tragic multi-vehicle car accident with many injured victims and a traumatizing fatality. Below is an excerpt of Jake's testimonial. In his testimonial, Jake explains how Fox Law stood out among the best car accident lawyers in Philadelphia representing the multiple victims. 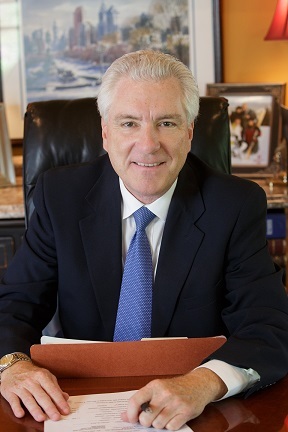 As far as my settlement went, he exceeded my expectations, not because of my case, but because he was very proactive in the process and took the lead with all the attorneys involved. Multiple victims. He got it done. If you need legal help and don't know where to turn, trust me, get this guy, you won't be disappointed. Click here to read Jake's full testimonial of how Fox Law Philly car accident lawyers made a difference in his case. 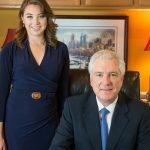 Top rated Philadelphia car accident lawyer for over 30 years. Driving in Philadelphia can be a challenge. Nestled between major highways I-95, I-76 (Pennsylvania Turnpike), and I-476 (The Blue Route), Philadelphia is a busteling city with winding roads and hills. Additionally, some of the most dangerous roads in Pennsylvania are located in Northeast Philadelphia, including Roosevelt Boulevard, Knight Road, and Street Road. Fox Law Philadelphia auto accident lawyers have served the Philadelphia community for over 30 years. In addition to knowing the roads, our familiarity with the Philadelphia court system and Philadelphia judges gives our clients an advantage that only a true Philadelphia lawyer can provide. 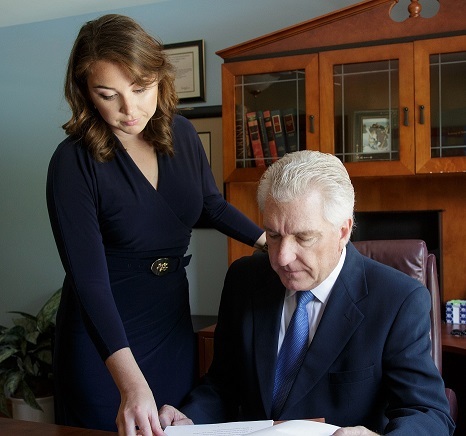 We know how the Philadelphia court system works and what to expect when we handle your claim. 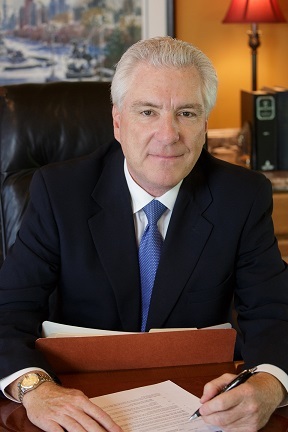 In his career, John Fox has acquired vast skill and experience as a car and truck accident expert. He has been retained by trucking companies to handle catastrophic car and truck accidents in Pennsylvania and throughout the United States. 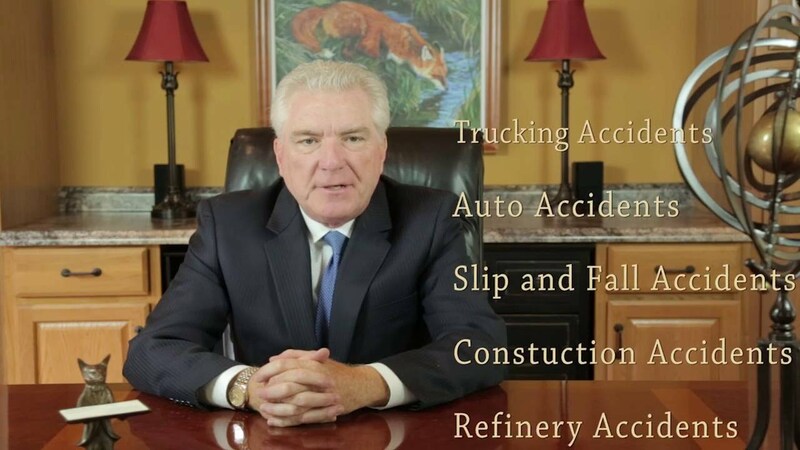 In the above video, he speaks about his career as a car and truck accident trial lawyer. What sets us apart from another car accident attorney in Philadelphia? We know how to defend cases which means we know how to win them. Our experience as defense attorneys sets us apart from the other car accident attorneys in Philadelphia. This is a distinct advantage for our clients. We understand how insurance companies work. 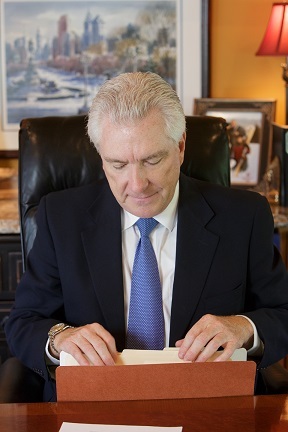 We use our knowledge to help our clients receive the best settlement possible for their car accident injury claim. We are multi-vehicle accident experts. We are experts in handling complicated multi-vehicle accidents. Navigating the chess match of litigation involved in multi-vehicle accidents is a unique area of expertise in which very few attorneys are skilled. If the accident occurs on a highway and involves trucks and tractor-trailers. In these cases, catastrophic and fatal injuries often result. It is imporant to have a lawyer who knows how to prove fault in multi-vehicle truck accidents and is highly skilled in this type of litigation. Car accidents should be reported as soon as possible. Most insurance companies require that claims are made within a specified window of time after the accident, however these limits vary. If you are unsure of your policy requirements, contact your insurance agent. In general, case value is determined by your injury, your economic loss, and liability. The type of injury, how it affects your life, and whether your injury is permanent or resolves itself in a few months, will greatly influence the value of your case. Therefore, case value can rarely be determined early on. There are many unknown valuation factors that can only be developed over time, such as the correct diagnosis of the injuries and the length of treatment. Medical bills, subrogation liens (Workman’s Compensation, Medicare, and Health Insurance), work loss, lost earning capacity, and future prognosis addressing daily living restrictions will also be considered in the valuation of your case. Finally, liability is a major factor in determining the worth of your case. If you are found to be 50% comparatively negligent, you may still recover, however your case worth will be adjusted proportionately. All factors considered case worth can rarely be determined early on. 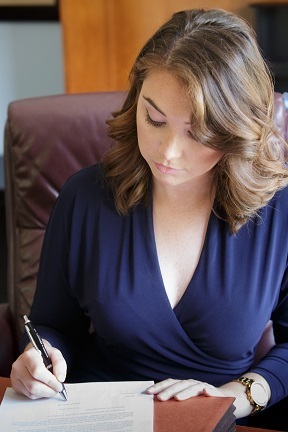 Therefore, if a lawyer tells you what your case is worth following an initial consultation or within a short time period of the injury, be wary of their motives. If you are a passenger in a car and you or a relative you live with has car insurance, your recovery will be controlled by the option elected under the policy of full tort or limited tort. If you are a passenger in a car and you do not have car insurance or live with a relative who has car insurance, you will be considered full tort. This means that you can make a claim for personal injury that does not require a serious impairment of bodily function. In this case, you will qualify under the car owner’s policy for medical (PIP) coverage. What if I am partially at fault for an accident? Pennsylvania and New Jersey law allows you to recover for damages in a car accident as long as you are 50% or less responsible. In other words, if you are found to be 50% at fault for a car accident and the other driver is found to be 50% responsible, you can still recover for damages. This is known as Comparative Negligence. There is no formula for arriving at a precise number for a person’s comparative negligence. If you are found to be comparatively negligent, your settlement or award will be adjusted based on the percentage of negligence. In the case of comparative negligence, an experienced Philadelphia car accident lawyer will negotiate your settlement with an insurance adjuster or possibly argue your case to a jury at trial. DO be careful what you say to EMT’s or police regarding how the accident happened. DO tell your doctor EVERYTHING that is hurting you. DO be honest about your injuries. DO be honest about pre-existing injuries and prior medical conditions. DO NOT speak with an insurance company before speaking with your lawyer. DO keep a daily log of your injuries. It is very important to be careful about making statements regarding how the accident happened. What you say to police or EMT’s following an accident may be used against you. When you see a doctor, be truthful about your injuries and your prior medical conditions. Exacerbation of a pre-existing injury is compensible. Failure to disclose prior medical conditions, however, will hurt your credibility and your case. Also, be sure to tell your doctor EVERYTHING that is hurting you as a result of the accident. It is impossible to know whether an injury will resolve or develop into something more serious over time. You may be focused on a pain that is initially more severe in one area of your body. However, that injury may heal over time and a lesser pain may prove to be a more serious injury. Therefore, you must identify ALL of your aches and pains at your initial doctor visit, so that insurance companies will not question at a later date whether the injury was related to the accident. It is also important to keep a daily log of your injuries to help you recall how you were feeling in the days, weeks, and months following your injury. A Philadelphia car accident lawyer explains how Pennsylvania car insurance laws affect your right to recovery. A Philadelphia Auto Accident Attorney must handle a Pennsylvania personal injury claim under Pennsylvania's no-fault law. This means that if you own a car and have insurance in Pennsylvania, your insurance company is primarily responsible for your medical bills. This is called PIP or Personal Injury Protection. Your insurance company pays your medical bills whether it is your fault or not. If you are making a claim for pain and suffering, that claim is asserted against the insurance company for the at-fault driver. Your own insurance company does not pay for pain and suffering unless it is an uninsured or under-insured motorist claim under your own policy. In the case of car accidents involving out of state drivers, generally speaking, if you are an out-of-state driver with insurance, your insurance company is still responsible to pay your medical bills under the PIP provisions of your policy. And if you are an out-of-state driver involved in an accident with a Pennsylvania driver, you will be most likely deemed full tort regardless of your injuries or insurance policy. This means that you do not have to have “a serious impairment of bodily function” to make a claim for your injuries. Pennsylvania is a no-fault state with a choice-no-fault program. Knowing your rights under the Pennsylvania No-Fault System will help you to be fairly compensated for your injury. Under Pennsylvania’s no-fault system, a driver is compensated for injuries through his or her own insurance policy, regardless of who caused the accident. Pennsylvania medical benefits are covered by PIP Insurance. PIP covers the medical benefits for you and others included in your policy, regardless of fault. PIP Insurance is required by all Pennsylvania drivers. Pennsylvania drivers must carry PIP coverage, bodily injury liability coverage, and property damage liability coverage. A minimum of $5,000 of PIP coverage is required in Pennsylvania. Bodily injury liability pays for the medical and rehabilitation expenses of anyone injured in a car accident where you are at fault. The minimum limit is $15,000 per person/$30,000 per accident; the $15,000 pays for injuries to one person, while the $30,000 is the total available to all claimants for one accident. Property damage liability covers the cost of repairing or replacing property damages that you caused in an accident where you are at fault. The minimum limit is $5000 of coverage. Unfortunately, PIP insurance may not be enough to cover your property damage, pain and suffering, medical bills, and lost wages from auto accidents. Under Pennsylvania’s choice-no-fault system, drivers can choose between two insurance options: full tort or limited tort. With full tort, you can sue in court for all damages, including pain and suffering. With limited tort, you are able to recover all out-of-pocket medical and other expenses, but you cannot recover damages for pain and suffering. There is an exception to this rule. If the accident has resulted in “death, serious impairment of bodily function, or permanent serious disfigurement”, you may recover for pain and suffering, even with limited tort insurance. Another exception is if you are involved in an accident with an out-of-state vehicle. Many drivers regret not purchasing full tort coverage, which costs only a few dollars more than limited tort. Limited tort prevents injury victims from suing for pain and suffering if they do not fall within the exceptions. Although limited tort does prove challenging in fully recovering for your injury, it is possible to receive substantial compensation within limited tort insurance. Income loss protection generally covers 80% of your gross income lost after the first 5 days of work are missed. If you do not carry income loss coverage, you may not be able to collect for your lost wages until your case is resolved through a settlement or trial. The following chart highlights minimum insurance requirements in Pennsylvania and recommended coverage. This should not be considered legal advice as everyone is unique in their insurance needs. If you have any questions regarding your auto insurance coverage, contact your insurance agent. If you own more than one vehicle registered in Pennsylvania, stacking is permitted on your insurance policy. Stacking permits you to add together or “stack” the underinsured or uninsured coverage of each automobile. If you were involved in a car accident and you were not hurt but you have a property damage claim you don’t need a Philadelphia Car Accident lawyer. You may have property damage insurance under your own policy, or the person who hit you may have property damage insurance. In that situation, you can submit your claims to your insurance company or the at-fault person’s insurance company, and the insurance company may pay your claim. If there is no insurance coverage, then you will have to file a lawsuit in Small Claims Court. Property damage covered by insurance companies is the difference between what your car was worth immediately before the accident and what it is worth immediately after the accident. You are also entitled to recover for the loss of use of your vehicle. 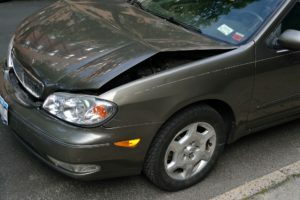 Property damage is determined by the cost of repairing the vehicle or the fair market value of the vehicle if it is determined to be totaled. Fair market value is usually determined by its Blue Book value. The insurance company will decide whether the car will be repaired or totaled based upon the repair estimates. If repair estimates total more than 75% of your car’s Blue Book value, they will probably total your car. Today, estimates are usually done by the insurance adjuster. If the insurance company decides to repair the vehicle, you can arrange the work to be done at the repair shop of your choice. If the repair shop finds additional damage not identified in the original estimate, the repair shop will contact the adjuster for additional payment. The insurance company may require the use of after-market parts if they are of equal quality to the manufacturer parts. The loss of the use of your vehicle is usually determined by the cost of renting a reasonable replacement, but the insurance company is not required to arrange a rental car for you. In that case, if you rent one yourself, you are entitled to recover that cost. Even if you don’t rent a car, you are still entitled to be compensated for loss of use. Fox Law Philadelphia car accident lawyers welcome you to contact us. No case is too big or too small for an evaluation. Fox Law welcomes the opportunity to represent you. Call us today for a prompt and free consultation regarding your personal injury claim. During your consultation, your case will be discussed and the facts will be reviewed and evaluated. If Fox Law accepts your case, it will be handled on a contingency fee, which means you pay nothing out-of-pocket. We carry all of the costs and assume all of the risks when we accept your car accident injury claim. When we make a recovery for you, we are paid with a percentage of the settlement award. Therefore, it is in both of our best interest for your case to have the best outcome possible. 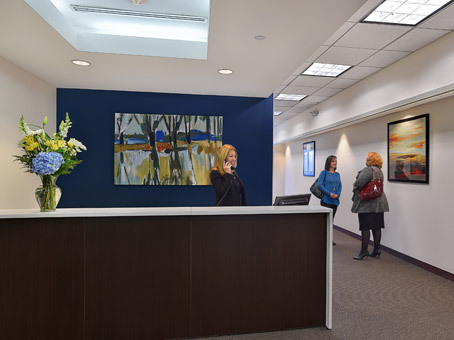 Our Philadelphia auto accident lawyers are available to meet with you by appointment at one of our consultation offices. We also make house calls when necessary. Free Consultations with a Fox Law car accident lawyer in Philadelphia. 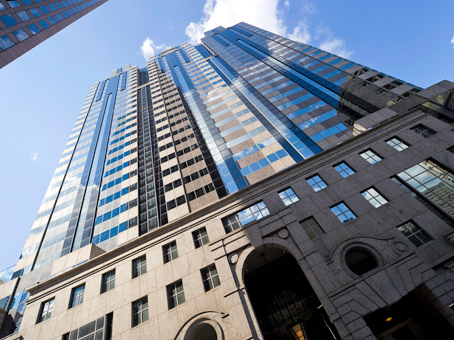 Fox Law Philadelphia car accident lawyers consultation office is conveniently located at Two Logan Square in Center City Philadelphia. We are available at this office by appointment. It is accessible by walking, bus, train or driving. A parking garage is attached to the building. Prefer to meet a Fox Law car accident lawyer in Northeast Philadelphia? 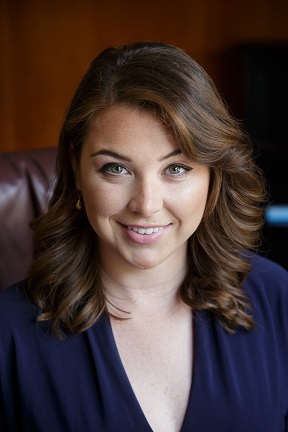 Meet our car accident lawyer in Northeast Philadelphia by appointment at our conveniently located Jenkintown office located at 610 Old York Road, Jenkintown, PA.